You can always reach us quickly through the Contact Us page and at the street address, telephone, and E-mail address shown there. Barring holidays and weekends, we attempt to respond to E-mail within a few hours but no longer than one business day. We provide deep discounts on total dollars spent on your order! We calculate and show your discount in your Shopping Cart displayed at the bottom of every page at our website. Update quantities and see your discount update immediately. If placing a large pallet-quantity order (>5 pallets total), please call our Sales Department. We will have an account executive contact you about your order to make sure you are getting the deepest discount we can provide. Use our website to create and place your order. You are not required to have an account to use the website to assemble an order. We only ask you to register an account when you get to the checkout stage. If you require custom packaging or wish to place a very large pallet-quantity order (>5 pallets total), please call our Sales Department. Minimum order size is generally one case. Case count is generally 12 singles. Our product detail webpages clearly show the case counts, pallet quantity counts, and order minimums. All products are sold in eaches (singles). Place your order in even case or pallet multiples. You agree that when placing an order that is not an even multiple of case counts for any and all products ordered, we may adjust your order to the quantity of the next higher case count and charge you accordingly. This will ensure that you will receive no less than the quantity you have requested for each product. Contact the Sales Department to request samples via the Contact Us page. We will be happy to ship international orders. The shopping cart is generally capable of providing international shipping rates with UPS. Please contact us about international shipping rates if the shopping cart is unable to automatically rate the shipment. We require wire transfer payments for international shipments over $500. Prices are current at our website but subject to change without notice. If a mistake results in an incorrect price at the website (e.g., typographical error, data entry, etc. ), we will attempt to honor the incorrect price until we correct the error, but honoring any such incorrect price is solely at our discretion. The website is an advertisement and invitation to do business with us. Submitted orders are not accepted until inspected and approved by our staff. An additional $5 will be added to the handling fee for all orders that total less than $50. Shipments are FOB from one of three warehouses in southern California. FOB is subject to change without notice due to market forces or inventory changes. We will always keep you abreast of FOB changes on orders you have placed with us. Shipments are billed at the time of order shipment except in cases where online shipment cost estimation is not possible or a deposit is required. Shipping costs for online orders are estimated. 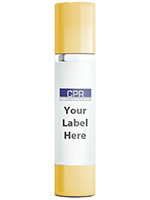 CPR Sales will correct the shipping costs to the actual cost charged by the carrier once your order is packed. The Sales Department will inform you if a deposit is required. When you use your credit card to place a website order, your account is authorized when the order is placed and captured when we ship your order. If you (or we) cancel the order, the credit card authorization is released. Failure to indicate special services (Notify Before Delivery, Inside Delivery Required, Liftgate Truck Required, Residential Delivery) will result in additional charges billed before or after the shipment has departed our facility. Note that freight carriers charge additional fees for waiting at the destination or returning to the destination for later delivery. The charges for special services not indicated to us at the time of order and additional freight carrier handling fees that are incurred through no fault of ours are the customer's responsibility. By accepting the Terms Agreement and placing orders with us, you agree to pay these charges when billed by us when our carrier accounts incur such charges or before or after the order is shipped. Please use the online Contact Us page to call us, or E-mail us for customer service inquires. We will be happy to help you with general questions, ordering product, or using the website. We attempt to process your order within 24 hours on weekdays, excluding holidays. Items shown and described at our website or custom built for you are not necessarily suitable for every kind of use. We make NO WARRANTY that the products we sell or custom build for you are fit for any particular purpose. REPLACEMENT WITHOUT CHARGE IS CPR’S ONLY OBLIGATION UNDER THIS WARRANTY. CPR WILL NOT BE RESPONSIBLE FOR ANY CONSEQUENTIAL OR INCIDENTAL DAMAGES RESULTING FROM THE SALE, USE OR IMPROPER FUNCTIONING OF THE ITEMS SUPPLIED HEREUNDER, EVEN IF LOSS OR DAMAGE IS CAUSED BY THE NEGLIGENCE OR OTHER FAULT OF CPR. All other warranties, whether expressed or implied, including any warranty of merchantability and fitness for a particular use, are expressly disclaimed. 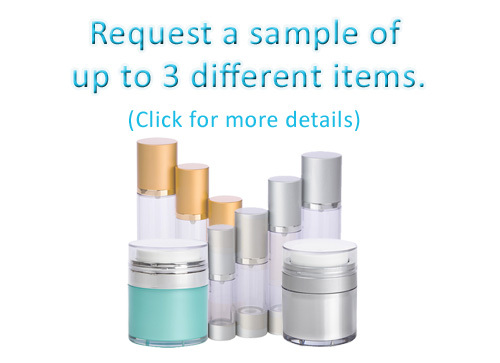 Product testing with a container is solely your responsibility, and we strongly recommend that you thoroughly test your product with container options prior to any volume purchase. If for any reason you are not satisfied with the products you have purchased [excluding merchantability and fitness (see above)], we will be happy to exchange, refund your money, or provide a merchandise credit for products shipped back to us in re-sellable condition within 30-days of purchase. Returned orders are subject to a 25% re-stocking fee. Exchange, refund, or credit is not issued for freight charges (to or from our facility), customs fees, special handling, or special services. Returns are not allowed on special order containers that have been printed, labeled, or modified for you unless the problem with the container is due to an error on our part. Returns are not accepted due to incompatibility with your product: Product testing with a container is solely your responsibility, and we strongly recommend that you thoroughly test your product with container options prior to any volume purchase. You must contact us prior to returning products for a Return Merchandise Authorization number (RMA) before shipping product back to us. All shipments must display this number clearly on their outside packaging, or else we will refuse to receive your shipment into our facility. Please call us to arrange to return product to us.